The PPG Stress Flow device, thanks to a multi-channel measurement plethysmograph technology applied to the distal ends of the limbs, allows to analyze the overall activity of the autonomic nervous system and the heart rate variability. The instrumental examination has a duration of a few minutes and allows the study and direct monitoring of all functions of the autonomic nervous system and related process of biofeedback, furthermore allows the chronic inflammatory and stress-related diseases disorders differential diagnosis processes. Mean HR: average heart rate. 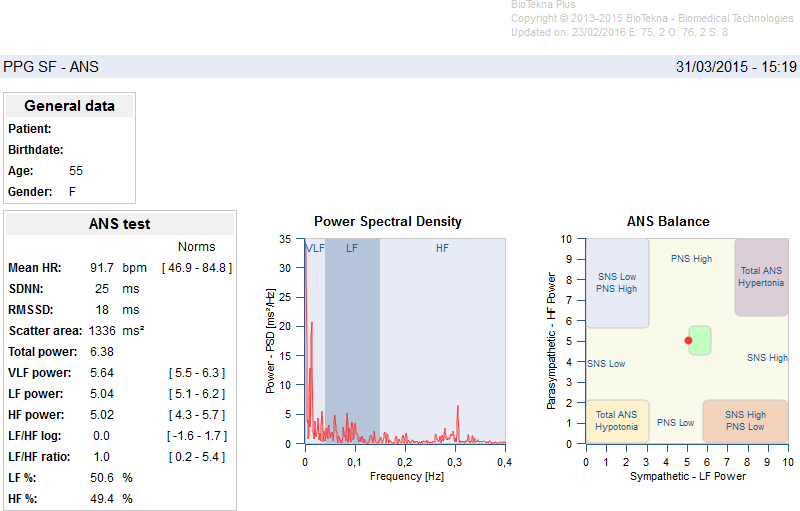 VLF power: sympathetic nervous system slower processes indicator. LF power: sympathetic activity indicator. HF power: parasympathetic activity indicator. 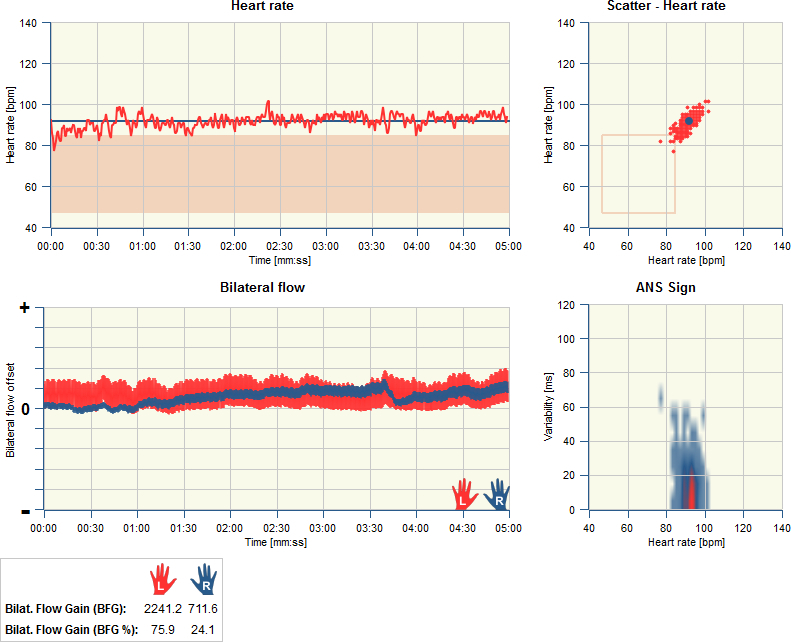 Scatter – Heart rate: heart rate variability representation. Bilateral flow: bloodstream multi-chanel representation. ANS Balance: the sympathetic and parasympathetic nervous system activation representation. The PPG Stress Flow device can be used in combination with the other advanced applications available on BioTekna Plus, integrated platform. The applications allow to extend the analysis capabilities of the autonomic nervous system and to evaluate the biofeedback process.